Polo hatchback, Ameo compact sedan and Vento get special edition variants called Sport ahead of the FIFA Football World Cup 2018. 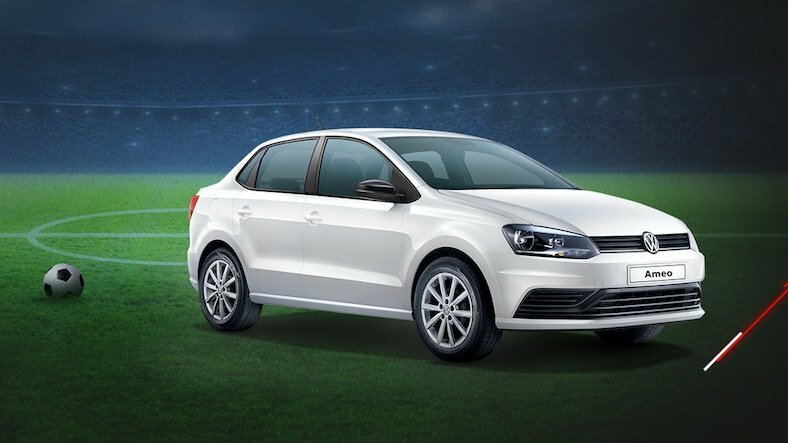 Volkswagen India has launched special Sports edition of its Polo hatchback, Ameo compact sedan and Vento C-Segment sedan. These cars receive cosmetic tweaks and sporty decals though engine specifications remain unchanged. The new Sports edition of Polo hatchback is priced at Rs 6.93 lakhs while the Ameo Sport edition carries a price tag of Rs 8.30 lakhs. Vento Sport gets revised pricing of Rs 10.70 lakhs. Each of these new editions are launched to celebrate the upcoming 2018 FIFA World Cup which will take place in Russia from 14th June to 15th July. The Sport package includes black gloss roof wrap, carbon fiber wraps on wing mirrors, sporty accents on tail spoiler and side decals and blacked out roof. Volkswagen has made no mechanical changes to the any of the three cars. 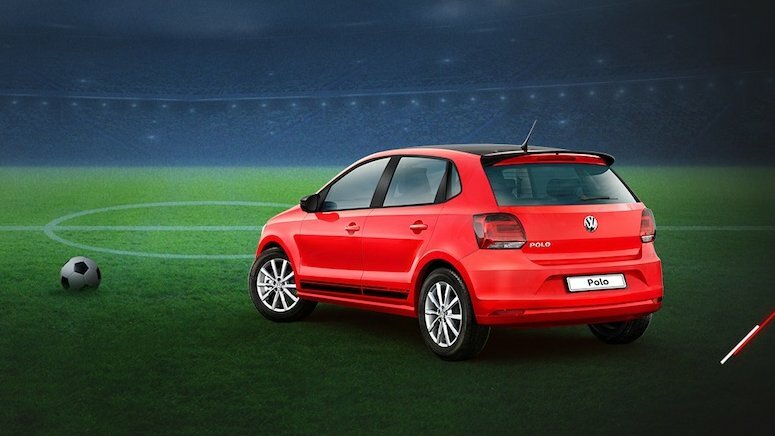 The VW Polo and Ameo sport same engine specifications. The petrol engine is a 1.0 liter, 3 cylinder MPI unit offering 75 bhp power and 95 Nm torque and a 1.2 liter turbocharged unit offering 104 bhp power and 175 Nm torque. It also receives a 1.5 liter turbocharged diesel engine in two states of tune, one offering 90 bhp power and 230 Nm torque and the other capable of 104 bhp power and 250 Nm torque. These engines come in mated to 5 speed manual gearbox and 7 speed twin clutch automatic gearbox. VW Vento is powered by a 1.6 liter MPI petrol and 1.2 liter TSI turbocharged petrol engine along with a 1.2 liter TDI diesel engine. As a part of this new marketing campaign – “BeASport”, Volkswagen is also offering buyers of these Sport variants a chance to win a car. Participants will have to test drive any of the three Volkswagen Sport cars and write a slogan following ‘#BeASport’.